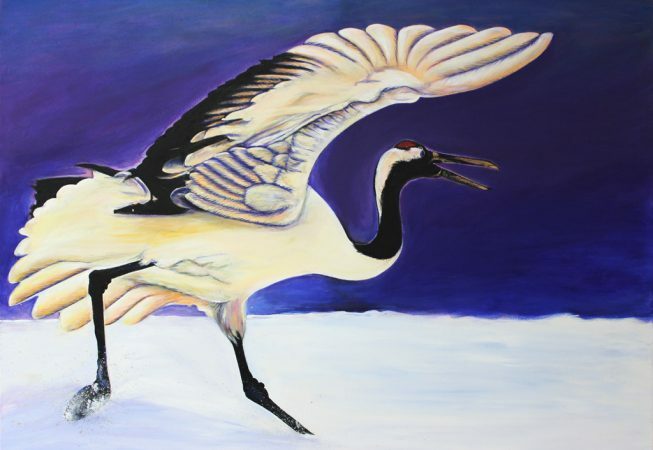 The Crane Painting. It is painting number 4 of 4 in the Kung Fu Animal Series. Each of the four animals are represented in our style of Martial Arts. 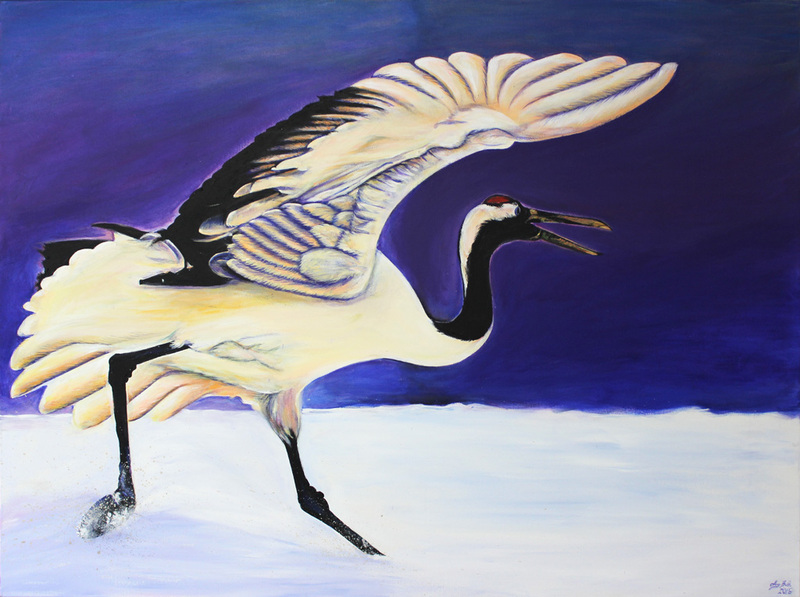 The original paintings can be seen at White Dragon Kung Fu located at 1714 Topaz Drive, Loveland, CO 80537 behind McGraff’s. Out of the four, the reference for this piece had the least amount of detail. This created a unique opportunity for me to really play and create depth with my imagination and exaggerate what I could see.